Lukáš Sommer is a one of leading personality in the current generation of young composers. Beginning in 1998, he studied at the Conservatory in České Budějovice where he studied guitar under Professor Vilma Manová and composition under Professor Jiří Churáček. In 2003, he studied one year at the Prague Conservatory under Professor Věroslav Neumann. In 2009, he graduated from the Academy of Performing Arts where he studied composition under Professor Ivan Kurz. He is the author of more than forty opuses for different works. In addition to orchestral music (e.g., the Cantata Thorns in a Veil, Concerto for Harp and Orchestra, Monolith for Wind Orchestra and Percussion, Concerto for Orchestra, and others), Sommer focuses on chamber music (e.g., Two String Quartets, Piano Trio „Xcape„, Labyrinth – a Sonata for Harpsichord, the Gypsy and the Odyssey). Another line of Sommer’s work is vocal music – often using the texts of contemporary poets (e.g. the song cycle Headland, Floating Island, the melodrama Nobody has Caressed me in a Long Time, Song of the Gallows, the ABCs). The opera Ela, Hela and Stop, a libretto of Vaclav Havel’s play, holds a special place among his works. He also composes works for children, namely the children’s opera Hercules and the musical Sindibad. His music has been interpreted by Sir Nicolas Daniel, Carlo Jans, Jana Boušková, Vilém Veverka, Pavel Šporcl, Jan Mikušek, Sebastien Bagnout, Jan Kučera, the Sednunum Orchestra, the Bremerhaven Orchestra, the Prague Radio Symphony Orchestra, the Prague Philharmonic Choir and others. In addition to regular performances on the domestic scene, he has performed his music in over 15 countries. In 2011, at the request of the Prague Spring Festival he wrote a flute concerto Letter to My Father and became the youngest composer in festival history. A completely separate chapter in Sommer’s music is his unique author’s guitar recitals, comprising around 20 opuses. Each recital originates as a time-lapse documentary; each song has a specific story of origin, which is often associated with different Czech luthier tools. In 2015, the prestigious publishing house William recording released his current CD Savana, which summarizes his previous compositional style. Noteworthy are the songs the 5 Preludes, Suite in the Old Style, Calm, The Legend of Victoria or Second Letter to father. He also published the textbook I Want to be a Guitarist, which in 2016 became part of the curriculum of the Ministry of Education. In 2016, he founded the musical duo Tapa de Deux with djembe and darbuka player Kateřina Ferlesová. 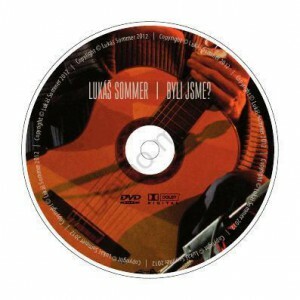 Sommer is also a sought-after arranger of popular and film music. His feature projects include City Er by Michal Prokop, Symphonicum Tour by Ondřej Brzobohatý, Hapka Lives!, Sanremo Junior Song Contest, Wanted Dagmar Pecková, Tamarisk by Anna K, Stars at Karlin – Lucie, Chinaski, and Dan McCaffearty. As an arranger, he has participated in the film soundtracks of Ondrej Soukup, Michael Kocáb, Oh Yoon Suna, and Johnny Mayer. He works for prestigious Czech and international agencies (TRIART, Naver, Czech Symphony Orchestra, and the Chicago Company).